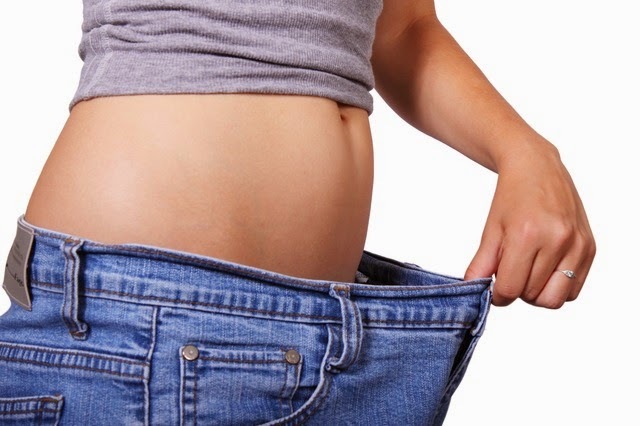 Stubborn fat bulges that are resistant to diet and exercise are frustrating! Many women and men have this issue and – especially as summer beach days approach – they start to look for a solution. While there are many new non-invasive body contouring options on the market, liposuction still remains the most reliable and quickest way to significantly improve contour issues on any part of the body and it only takes one treatment! We have gotten a lot of inquiries about CoolSculpting as people have seen advertisements around town. In light of this, I want to share with you information about CoolSculpting and Liposuction. CoolSculpting is done without surgery or downtime for recovery. This is probably the biggest “draw” to the treatment. The procedure freezes the unwanted fat cells in areas that are resistant to diet and exercise. The cold that the cells are subjected to causes an “injury” to the fat cells and encourages apoptosis – death of the cells. Following the treatments, there maybe numbness, swelling, stinging, bruising, or pain. Over a period of weeks the cells die and they are eliminated from the body. The optimum result is a 20% reduction, but this is not a guarantee. Most likely more than 1 treatment will be necessary to see the full 20% reduction and the results may not be seen for 2 to 3 months post treatment. Liposuction is not what it used to be in the past. We have refined our technique so that general anesthesia is not needed to perform the procedure. Oral and IV sedation plus dilute local anesthesia allows us to comfortably perform the procedure and patients do not have the post-operative general anesthesia “hangover”. One liposuction treatment guarantees noticeable results to the area being contoured. The extra bonus is that excess skin can be surgically removed at the same time to help with the result. I do feel that it is important to stress that liposuction is not a weight loss procedure but instead it is used to improve body contours. One way to determine which procedure is right for you is to think about how much improvement you are looking for. CoolSculpting will most likely take multiple treatments and may improve contours but the improvement may be minimal and not noticeable to others. Liposuction is “one and done” and will give you a dramatic result. View some of my before and after liposuction photos here. If you are interested in liposuction in Santa Barbara, please call my office (805-563-0000) to schedule a consultation today. There aren’t as many articles and blog posts about men having plastic surgery (versus women) but in the last 5 to 7 years, the number of men who have gotten plastic surgery has increased by more than 40%. Men may share less publicly about their plastic surgery experience, but the reality is that they are getting it done. Most of the men I have seen are interested in plastic surgery for facial rejuvenation, body contouring, or the desire to enhance their appearance. Here are the most popular cosmetic surgery procedures for men in my Santa Barbara plastic surgery practice. Forehead Lift. Relaxation of the forehead tissue can result in a heaviness of the upper lids. This can make the person appear tired or unhappy. A Forehead lift repositions the forehead and brow upward to re-open the eyes, which often changes the appearance of the person to more approachable and happy. Eyelid Lift. Sagging skin, dark circles, and fat bulges around the eyes can make you appear older and tired. Eyelid surgery can correct these problems to give you a more rested and pleasant appearance. Liposuction is an effective way to remove fat and improve body contouring (note that it is not a weight loss procedure). For men, abdominal liposuction can effectively treat the “love handles” and other areas that are tough to work off. Rhinoplasty (Nose Surgery). This surgery can change the external shape of the nose. It can get rid of bumps or correct asymmetry. Nasal surgery can also be done to correct breathing function. Chin Augmentation. A “weak” chin can create facial imbalance in relation to other features of the face. Chin augmentation can be done using a custom implant to create more balance with the features. If the issue is a prominent chin, it can be reduced by removing some bone or soft tissue. I specialize in performing cosmetic surgeries that give a natural, rested, “non-operated” look. My clients – men and women – often say that after their surgery they receive many positive compliments on their appearance, without people guessing that they have had work “done”. If you are interested in plastic surgery in Santa Barbara, call my office (805) 563-0000 to schedule a consultation today. We are certainly enjoying beautiful Spring weather in Santa Barbara, California, even though we should be in the middle of winter. With beach or pool outings on the mind, this is one of the most popular times for people to inquire about sculpting their body for the upcoming summer and beyond. The idea of wearing swim suits, shorts, and skirts, brings many people into my office who are interested in losing inches around their thighs. As a Santa Barbara plastic surgeon, I know that outer and inner thigh fat can be the most stubborn fat on a person’s body. I have seen people who exercise regularly, have a healthy diet, and maintain a normal weight, and still are unable to shed the fat on their inner thighs and/or their outer thigh/hip area (often referred to as “saddlebags”). I recommend Liposuction to improve the contours of the legs (and arms, torso and/or breasts).Recently, I have noticed people inquiring about CoolSculpting – a non-surgical treatment to remove unwanted fat – that is being advertised in town. In light of this, I will share with you information about CoolSculpting and Liposuction. The biggest “draw” to CoolSculpting is that it is done without surgery or downtime for recovery. As the name implies, the procedure freezes fat cells that are resistant to diet and exercise. The cold that the cells are subjected to causes an “injury” to the fat cells and encourages apoptosis – death of the cells. As the cells die – which happens over a period of weeks – they are eliminated from the body. People experience tugging, pinching, pulling, and numbness. Following the treatment, as the cells die, there may be more numbness, swelling, bruising, stinging, or pain. The optimum result is a 20% reduction. Keep in mind that this is not a guarantee. More than 1 treatment may be necessary to see the full 20% reduction and the results may not be seen for 2 to 3 months. Almost everyone is familiar with Liposuction. It is a surgical procedure that removes excess fat deposits from “problem” areas on the body. If necessary, skin removal can be done during the procedure to remove excess skin that is too loose. Liposuction is not what it used to be in the “old” days. Many people are surprised to find out that they do not have to go under general anesthesia for the procedure. We use a combination of local anesthesia, oral and intravenous sedation that provides comfort and amnesia throughout the procedure. Liposuction only needs to be done once and has guaranteed results to improve body contours and proportion dramatically. I feel it is important to stress that liposuction is not a weight loss procedure but instead it is used to improve body contours. CoolSculpting may improve contours but the improvement may be minimal and not noticeable to other people. Liposuction is only done once and will give you a dramatic result. If you are interested in body contouring liposuction in Santa Barbara, I invite you to call my Cosmetic Surgery Center practice (805-563-0000) to schedule a consultation today. 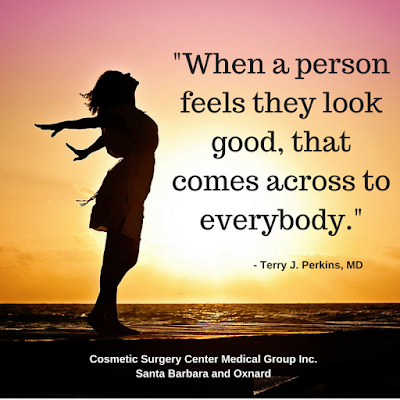 Dr. Terry J. Perkins has been practicing cosmetic surgery in Santa Barbara for more than three decades. He specializes in facial rejuvenation including facelifts, neck lifts, rhinoplasty nose surgery, and much more. He also does body contouring through liposuction. 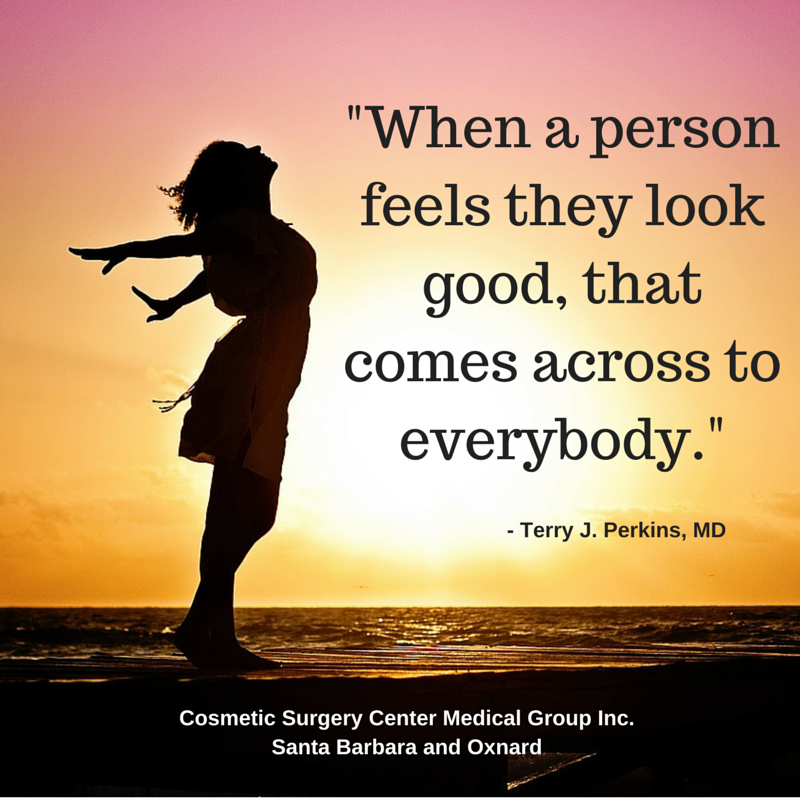 Schedule consultation with Dr. Perkins by calling his Santa Barbara Cosmetic Surgery Center office: 805-563-0000. Over more than three decades of my cosmetic surgery practice, I have found Spring and Summer to be a popular time for people to “renew” their appearance. In preparation for beach gatherings and pool parties, body contouring is often addressed. While liposuction is undoubtedly the most reliable and quickest way to improve contour issues on any part of the body, patients are hearing/seeing advertising about non-invasive fat reduction and I thought I would use this blog post to discuss the pros and cons of liposuction versus non-invasive techniques currently available. Liposuction is a surgical procedure that is now most frequently done using oral and intravenous sedation plus local anesthesia (so patients don’t have any added risk with general anesthesia). The procedure permanently removes excess fat from beneath the skin to improve “problem” areas and if you have excess skin this can often be removed at the same time. Liposuction incisions are small (less than 1/4 inch) and placed in “hidden” locations. Pain is usually minor – often controlled with ibuprofen or Tylenol – and light activity can be resumed a few days after the procedure. 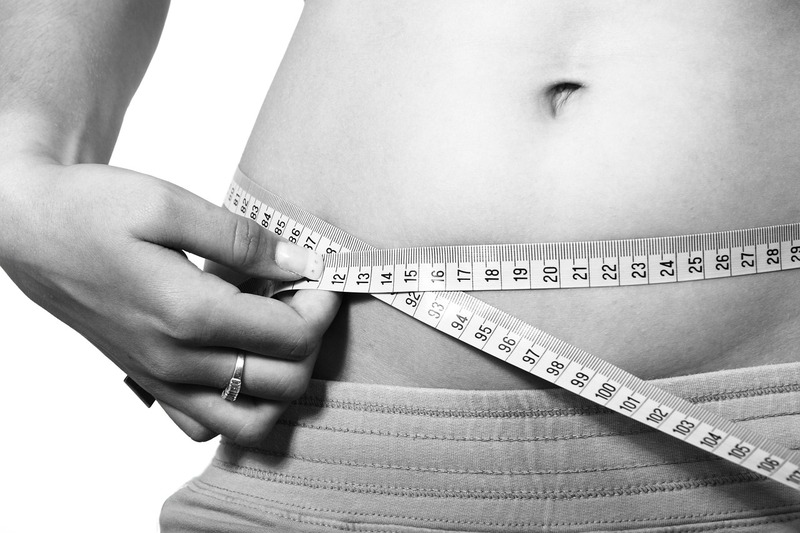 Non-invasive fat reduction has been around for a few years now and we know that it can work. For patients who do not want or cannot have surgery, several devices are currently available and others are on the horizon. Two technologies currently available are CoolSculpting (freezes fat cells) and Vanquish (heats fat cells). Both devices cause cell injury that leads to eventual death and elimination resulting in less fat volume. Non-invasive methods involve a series of treatments and the results are not as predictable or dramatic as liposuction but there is usually some noticeable contour improvement. CoolSculpting (or cryolipolysis) uses a vacuum-like applicator with cooling plates that cools skin and destroys fat cells by freezing some of them. The frozen cells die and are “cleaned up” over the next 2 to 3 months. An “optimum” result is about a 20% reduction, so several treatments are usually needed to obtain the contouring goal. Vanquish is a selective radio freqency treatment that targets the deeper subcutaneous fat and heats the cells to cause destruction. As with cryolipolysis, the cells are “cleaned up” over the next few weeks. Treatment time is much faster than with CoolSculpting. The percentage reduction is variable but at least 20% is common. A series of treatments is recommended. A side-effect “bonus” with radio frequency is that some degree of skin tightening is also seen. The answer depends on the amount of improvement you are looking to achieve. If you want a more dramatic change, have a larger amount of fat, or want to do just 1 treatment and be done, then liposuction is probably the better choice. Those needing only small changes, or who cannot take any time off and don’t mind doing a series of treatments to achieve an end result, may do well with non-invasive options. If you would like to discuss your concerns, contact my office (Cosmetic Surgery Center in Santa Barbara) to make a consultation appointment (805-563-0000). I look forward to bringing out the best in your appearance now or any other time of the year.